THE Police, Wednesday, released anti-corruption crusader, Dino Melaye, who was arrested after he led a protest against the Minister of Aviation, Princess Stella Oduah over allegation that the Nigeria Civil Aviation Authority,NCAA, purchased two BMW bullet-proof cars worth N255 million for her. This is even as a pro-Oduah group, emerged from the Federal Ministry of Aviation, located at the Federal Secretariat, Abuja, with some armed hoodlums and attacked the protesters led by Melaye. The former member of the House of Representatives, Thursday morning, said that the Commissioner of Police in FCT was very civil and exhibited professionalism in the discharge of police duties. He said, 'I was released about 5:30 pm; I was taken to the Department of Criminal Investigation, then taken back to the Commissioner of Police after keeping me for a while in the office of the Commissioner of Police (Operations). 'From there, I was moved to the Assistant Commissioner of Police (CID) and from there to the State Criminal Investigation Department; I was later transferred to CP. Melaye, a former member of the House of Representatives, was picked around 12:55 pm, by a team of police men, from the FCT Police Command,led by one ASP Odukoya Sunday, in a police Hilux jeep with registration number: NPF 2128C. His arrest came following his refusal to allow the police drive away some of the protesters which they had arrested on claims of obstruction of traffic and disturbance of public peace. Melaye had entered his vehicle to leave the protest venue after rounding off, but when hinted that some of his supporters had been arrested by the police, he parked and rushed to the scene to plead for their release. When his pleas for the release of the protesters was rejected by the police, he then asked the driver of the Coaster Bus conveying some of the protesters not to move. He asked the police to arrest him rather than going with the protesters, who he noted, were innocent Nigerians expressing their constitutional and fundamental rights. Before his arrest by the police,Melaye and the protesters were fiercely confronted by the pro-Oduah group with dangerous weapons such as matchets, long knives and sticks, but the repeated pleas by Mr Melaye to his group to remain calm prevented the protest from degenerating into what could have resulted in serious injuries or possible death of some persons. Placards, banners and hand bills bearing 'Oduah must go','Jonathan,sack Odua over corruption','if it was Yar'Adua or Obasanjo, Oduah would have been sacked immediately,'were torn to shreds by the pro-Odua group. Journalists at the event were not spared by the pro-Odua group. The group attempted to seize some video camera. Motorists, passers-by and onlookers were surprised at the turn of events given that the pro-Odua group carried dangerous weapons without any arrest or harassment by the police men. The efforts of the hoodlums,Vanguard gathered,was aimed at frustrating the protest. Reacting to yesterday's incident, the Special Assistant to the Minister Mr Joe Obi said Melaye did not have the credibility to embark on a protest against his boss. 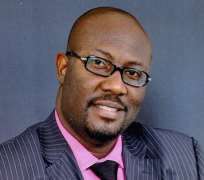 He maintained that Melaye's protests were never anchored on altruism He continued: 'I heard that there was some kind of disorder yesterday because he couldn't pay those he hired to embark on the protest he led.